The purpose of life is to evolve the soul! What is an Advanced Soul? Advanced souls are enlightened individuals who incarnate into this lifetime with a specific purpose and mission – to elevate their area or corner of the world into one of Light and Self-alignment to the Source. Others prefer to call them Old souls since they have incarnated into this world multiple times compared with others. They are souls that have progressed to a more advanced state of spiritual knowledge, awareness, and balance. How to spot an Advanced Soul? Advanced souls possess characteristics that are far different from ordinary human beings. They manifest themselves beyond conventional wisdom. 1. They have a penetrating gaze. When advanced souls gaze at you, you feel like they’re looking through your soul. Their gaze is so deep it penetrates deep down your core. Their eyes are steady and do not move much. They’re fully aware what’s inside and outside of you. Their eyes shine with the light of deep peace, compassion, and wisdom. 2. They have soft and comforting touch. Their touch is very light on the skin and seems to bring healing to someone who is suffering from any issues in different aspects of life. 3. They have a gentle and soothing voice. When they speak, they do it with depth and refinement in the voice. They’re not loud. They offer instructions that are wise and free of conflict, though, at times it contradicts with what you think is best for you. Yet, they know better where your life is heading. When asked, their answers bear a ring of truth and bring clarity that eliminates your confusions. Despite their gentle character, they’re also firm in their convictions and decisions. 4. Their aura is very deep and still. They exude an air of tranquility. Their presence is very comforting and makes you feel at ease and relaxed. They are so tranquil you find yourself feeling so at peace with them as if nothing negative could drive away that peacefulness. Though they’re usually quiet, their presence speaks loudly. 5. They are sincere in all their interactions. Because advanced souls are deeply conscious and aware beings, they act and speak with sincerity and reassurance. You couldn’t expect them to be untruthful, as their spirit is guided by wisdom and inner-knowing. 6. They will gladly show the way, yet never impose. They show others the path to enlightenment in a way that is not imposing. They never impose on how right they were and how wrong others could be. 7. They believe in the Oneness and connectedness of all things. For them, everything comes from only one Source and only one Spirit connects us all. Their perception of the world goes beyond frontiers, beyond skin colors, beyond borders. Their spirit is magnanimous that they feel connected even with the birds of the air and the fishes of the sea. 8. They are comfortable in their own skin. Wherever you place an advanced soul, they tend to fit rightly with their environment. They never lose their identity no matter where you place them. They don’t feel a tinge of humiliation or idolatry. 9. They believe only in “what is”. For them, there’s no positive or negative, only what is. They’re above the pull of opposites for they live in non-duality. They exist in both the All-ness and the Nothing-ness. Their life is a continuous journey in all realms or dimensions. 10. They are not materialistic. Despite their physical needs, they don’t succumb to luxuries and extravagance. They only strive to live comfortably and simply while doing their business on Earth. They’re fully aware of their temporary physical existence, thus they thrive in an egoless world of their own. They know that ego is an illusion of a fake self, and because they don’t identify themselves with such ego, their life is not weighed down by it. The vicissitudes of life don’t weigh them. Their body feels lighter, they have fewer wrinkles and clearer skins. 12. They honor “alone” time. It’s an absolute in the lifestyle of an advanced soul to be able to rest, replenish, recharge, and connect with the Source. A quiet time with themselves keeps them spiritually strong and grounded. 13. They soak themselves in nature and connect with the animals. Their most favorite retreat is spending time with nature. Nothing beats the freshness and tranquility that nature brings. They consider nature to have a spirit that responds deeply with their spirit. Animals respond to them eagerly, as if they understand every word an advanced soul says. Even the fiercest of animals seem to lay down its defenses in their presence. 14. Their love is their compass. They don’t love because it’s the right thing. They love because that is what they are. Love is written in their genes. And this love is the main tool they use to lead others to the right path. 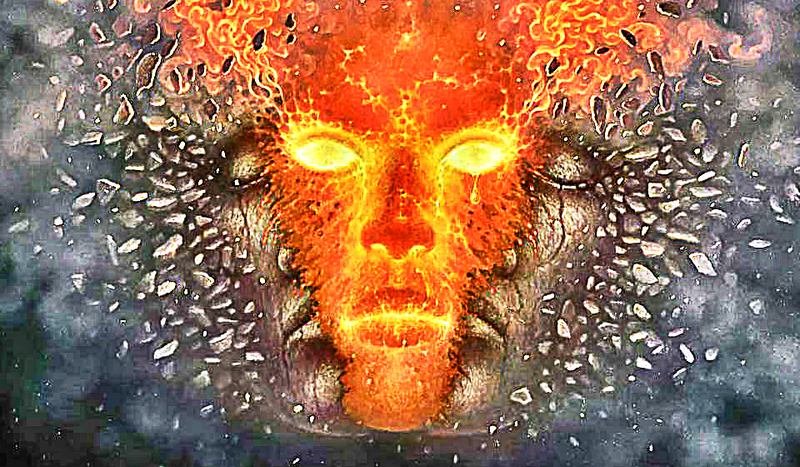 With these characteristics at hand, have you come to realize you are an advanced soul? If yes, please feel free to add some of their unique characteristics too. If you haven’t, do you know one that fits this description?